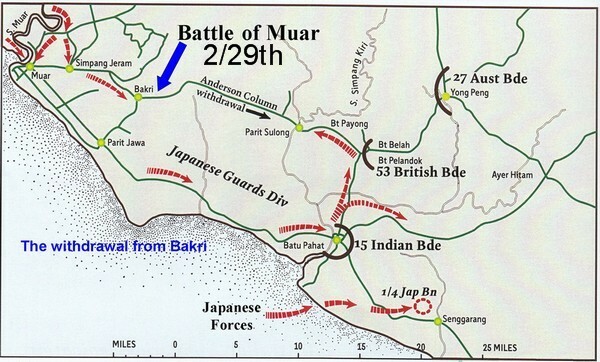 A collection of maps relating to the journey of the 2/29th Battalion A.I.F. The Japanese adapted Thai place names to their own pronunciation and POW's gave their own versions to these adaptions. Therefore several versions of place names may be given. 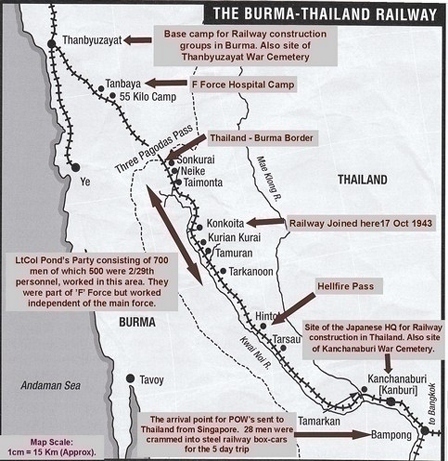 The groups working from the Burmese end usually knew their camps by the distance from the start at Thanbyuzyat. There may be some small differences in the 'Kilo Camp' location and the distance calculated from Nong Pladuk. 350 - Kami-Mezali, "Upper Mezali"